After his dominating performances in two games this season, Leonard Fournette is an early Heisman Trophy frontrunner. But the running back's legend began long before Fournette, who grew up in New Orleans, stepped onto the LSU campus. In a profile published by USA Today, George Schroeder reports some parents in New Orleans actually tried to ban a 12-year-old Fournette from playing against their children. Why? Because Fournette was apparently just too good. At 12, his talent was too much. Parents from opposing teams signed a petition to have him banned. Not only was Fournette bigger than everyone else, he could also take on former LSU player Tyrann Mathieu, who was a senior in high school at the time. As a seventh-grader, Fournette played for St. Augustine High School’s freshman team. The next season, coaches put him into a drill opposite Tyrann Mathieu, who was then a senior who would go on to become a consensus All-America at LSU. Scott said Fournette ran over the Honey Badger. 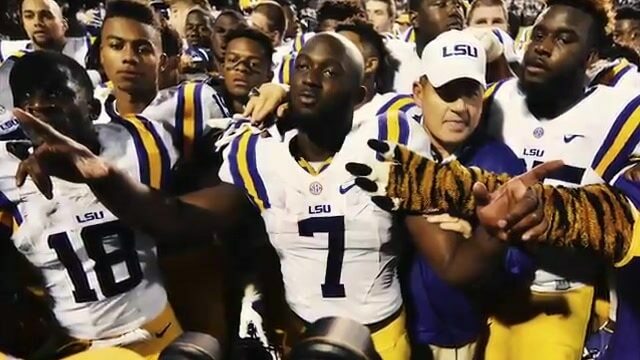 So it looks like the future has always been bright for Fournette. Check out Schroeder's full profile of Fournette here.